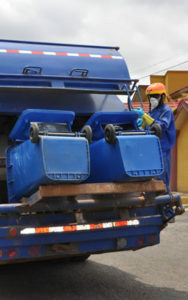 Ghana like many West African countries is still battling with filth in its cities. Wherever you go, you are greeted by unkempt surroundings. In the capital, Accra things are worse. From Kaneshie, Fadama, Chorkor, Friday Market, Nima, Agbogloshie, James Town, parts of Korle Gonno, Madina Market to Ashaiman the dirty surroundings is evident of a breakdown in sanitation standards. The famous garden city Kumasi is not spared the scourge of the challenges as areas such as Aboabo Market, Kejetia Market, Asafo Market, Alaba business centre, parts of Kaase and the Kumasi Central Market are in the same league as their counterparts in Accra. Tamale, too, has its fair share of the problem. Key areas affected include, parts of Chogu and Yapalsi, Sakasaka, Gumani and Gurugu among others are notoriously noted for unmanaged filth. It is trite knowledge that waste generation nationally and domestically corresponds with population growths. And the influx of rural migrants in most of the major cities in the country has compounded the problem. Considering the size of Ghana’s population estimated by the World Bank to be at 30million people in 2016 there is the need to reconsider the sanitation strategies and policies that were drafted some years past. One can safely conclude, without erring, that waste generation, especially plastics, in urban areas are higher than that of the less developed areas. The migration issue explained supra is a case in point. Over the years, government and private entities have tried to rescue the country from the clutches of poor sanitation but the success chalked has been marginal compared to the task. We all generate waste, including our president and ministers. This is normal because we interact with several materials in the course of the day and more especially because we need to eat. What should be of concern to us is how our country can manage its waste efficiently and effectively. Some countries have tackled theirs from the state perspective whilst others from the private sector angle. 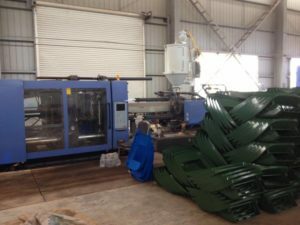 Ghana has over the years adopted the mixed method in addressing the challenges but a majority of the job has been done by the private sector, with some considerable support from the government. Fortunately, Ghana is one of the few countries in the world with good laws but the challenge has been the implementation. Many policies, laws and bye-laws have been enacted by Parliament and Metropolitan, Municipal and District Assemblies (MMDAs) have also promulgated several by- laws to regulate the environment among others. Bye-laws are not enforced by the state agencies but done by the MMDAs. In the midst of all these laws, the situation remains the same. Waste management experts Zoomlion Ghana Limited in collaboration with other members of the Environmental Services Providers Association (ESPA), MMDAs and the Church of Pentecost are set to create the necessary awareness and distribute one million (1,000,000) waste bins of various sizes to households and individuals according to their waste generation needs across Ghana. The exercise will commence as soon as household data are provided to the company. To this effect, Zoomlion Ghana Ltd had secured a loan facility of ten million United States dollars from Ecobank as a commitment to undertake the project and to help achieve President Nana Addo Dankwa Akufo-Addo’s vision of making Ghana a clean country. This was revealed by Executive Chairman of the Jospong Group of Companies (JGC), Dr. Joseph Siaw Agyepong at a stakeholder meeting in Accra. Dr. Agyepong rightly cited countries such as Singapore, Dubai, Mauritius and Kigali which were once in the same state as Ghana but resolved to change their fortune. And they did. If it was possible for them, the business guru said Ghana could be like them. 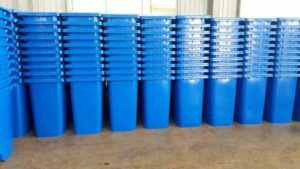 He suggested the ‘bin solution’ as a way of getting out of the challenges. He asked the MMDAs ‘where will refuse go if they are not in the bin?’ and their reply was instantaneous. “The gutters,” went the chorus. If we do not make available bins for the generation and collection of waste, it would find itself in our open drainage, behind houses and in our gardens. Tackling filth demands a shared responsibility and we all need to be of the same mind to achieve this. 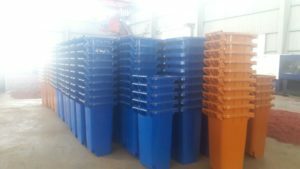 It is obvious that in distributing a million bins, some hundreds of youths would be engaged in the household registration and distribution processes, some would drive, others would write and some would lift them at the various MMDAs. 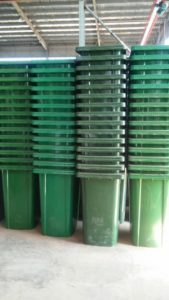 Even after distribution, waste management services would be needed to do the lifting of waste on daily basis which also attracts some work activity. In a clean environment people will not be infested with communicable diseases and would be able to continue to undertake their daily economic activities unlike the case in the filthy communities. The bin will therefore promote economic growth of the nation. In a clean environment, you will find only healthy people and when people are healthy, they will not seek medical attention at a cost to the NHIS. Therefore, the scheme will make good savings as a result since it would now be used by a few people suffering from unrelated diseases such as malaria, cholera, typhoid and diarrhoea which are mostly related to unhygienic environment conditions. 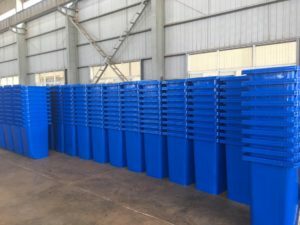 Through the effective use of the bins, we would soon be surrounded by clean environment and this has the potency of ramping up the money generated by the tourism sector since more people would want to come to Ghana as it is being done in Dubai, Singapore, Malaysia, Cape Town and Kigali. Our several beaches in the Greater Accra, Volta and Central Regions would become automatic cash cows for the nation in the area of tourism. 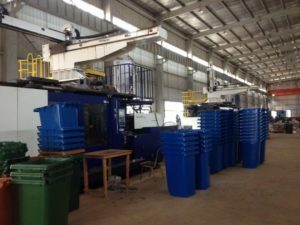 Dr. Agyepong proposes that each MMDA would benefit from the bin in terms of revenue generation because apart from the jobs it would create, the programme is tailored to provide revenue quotas to the MMDAs as a result of the services they would render to the households. 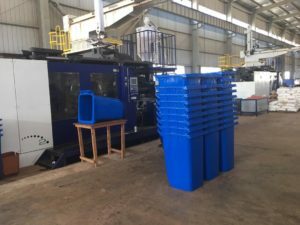 If Zoomlion is lifting a container for say ten cedis a month for a particular client, the assemblies would earn two cedis from that ten cedis and if there are a thousand of such bins within an assembly and collection is hundred percent it would earn not less than two thousand a month and twenty-four thousand a year. This is an amount that could help them run the assemblies better. 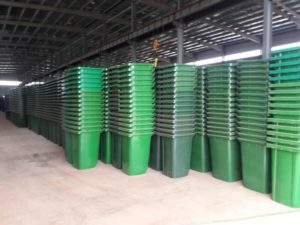 It is assumed that in a country that is conscious of its waste management, citizens’ attitude towards waste management would change positively thereby bringing about a cost reduction on public education among others in that country. The savings could be used to provide infrastructural development for the country. 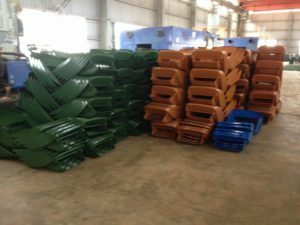 As part of the exercise, a hundred mini plastic crashers would be made available to the MMDAs for recycling purposes. It’s indisputable that banning of plastic and related products would help to halve the challenge. But is that the only way? The Zoomlion boss believes wastes such as plastics is a resource just like gold, cocoa and diamond among others that when banned would throw many people out of job with specific reference to sachet water producers, mineral drinks among others. 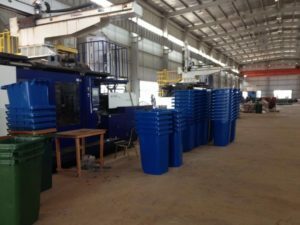 As a result, he has urged development and creation of jobs through the same means – recycling of plastics. Jospong is leading the process for the private sector, the president has stated his mantra to keep Ghana clean, Ecobank has dared other financial institutions to be environmentally conscious and this article is Francis Atayure Abirigo’s onerous contribution to this exercise for my nation.